If you’re looking for an affordable and lasting solution to cracked or damaged asphalt, then get in touch with the professionals at Asphalt FX today. Our qualified team will walk you through our range of asphalt patching services, helping you find the right solution to any problem. 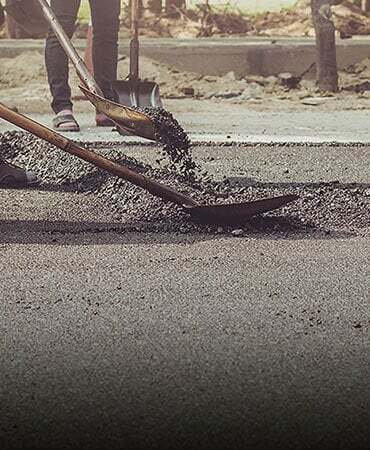 We’re a family run company and one of the most trusted and reliable names when it comes to asphalt repair and patch work across Melbourne, for both residential and commercial projects. While a small crack or hole in the asphalt surface might seem like a minor problem it can easily lead to a far more serious and costly issue, and dangerous safety risk. At Asphalt FX we deliver permanent fixes to potholes and cracks, creating a safe, secure and durable surface that will stand up to weather exposure and constant use for years to come. When it comes to asphalt patching it is crucial to work with the right equipment and materials to provide a solution that will last. We only use the very best tools of the trade for every job we take on, no matter how big or small, ensuring a quality outcome every time. Don’t trust companies that offer short-term or quick fixes to your asphalt problem. With over 15 years of experience in the industry you can be sure that our trusted team will be able to handle all your asphalt needs. Click here to get started today. Earthworks, cutting of sites and disposal of surplus spoil.